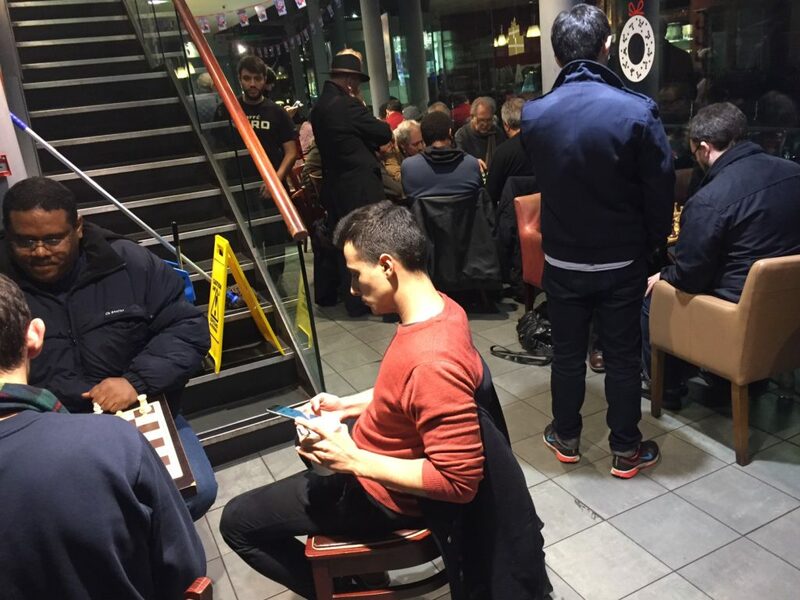 The most daring raid since Kramnik stormed Castle Kasparov at the Riverside Studios, took place on Monday in West London. 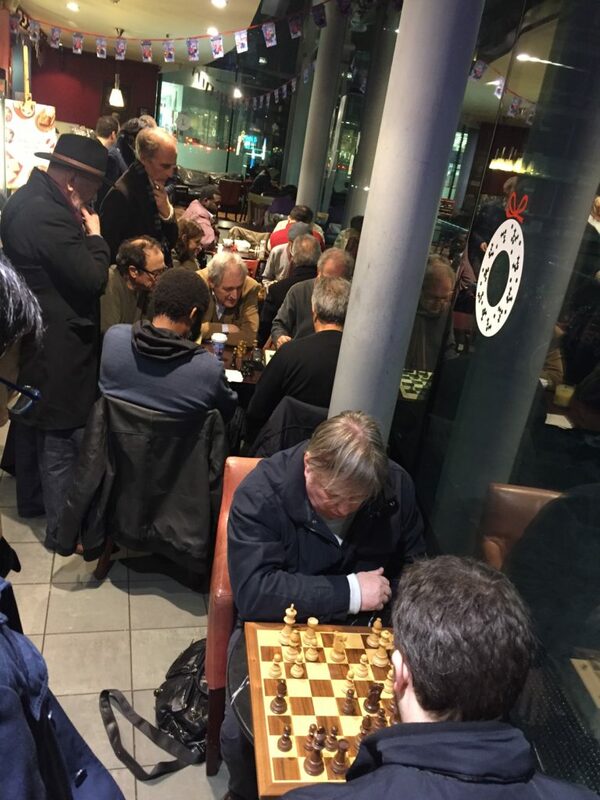 A heroic bunch of Hammer’s finest took on the “street” chess players in Cafe Néro just off Kensington High Street. The Hammer crew consisted of Paul “dead-eyed” Kennelly, Tony “the surgeon” Niccoli, Phil “no way” Ehr, Orial “the wiz” O’Caithall, Dave “eye, eye” Pearson, Nick “flick” Rutherford, and John “no idea” White. Reinforcements came in the shape of Pavel and hopefully new member Josue. Hard to imagine a more intimidating sight than the Hammer Posse walking into contested turf. Our aim: to own the manor. The chess was pretty bloodthirsty and direct. This was great fun and new friendships were formed. This is the joy of chess – it is a common language. Part one of the evening complete, four of us in the shape of “no way”, “no idea”, “the wiz” and Josue headed over to the Albion for a more serious kind of refreshment. We ran into Les, a past member of Fulham Chess Club and an excellent chap all round. Some good beer and ropey chess were on the menu but all was well in the world. The raid went well and hopefully things will happen as a result. The final act of the evening was GM Keith Arkell also enjoying a pint in the Albion coming over for a chat. A perfect end to a West London Chess odyssey! Previous Previous post: Hammer Chess Goes Dutch!